GA FOOTHILLS - 629: 4H KIDS WILDERNESS CAMP --AUG.
4H KIDS WILDERNESS CAMP --AUG.
We appreciate our folks for helping out with this event--thanks to Sid King & Cord Sanford. 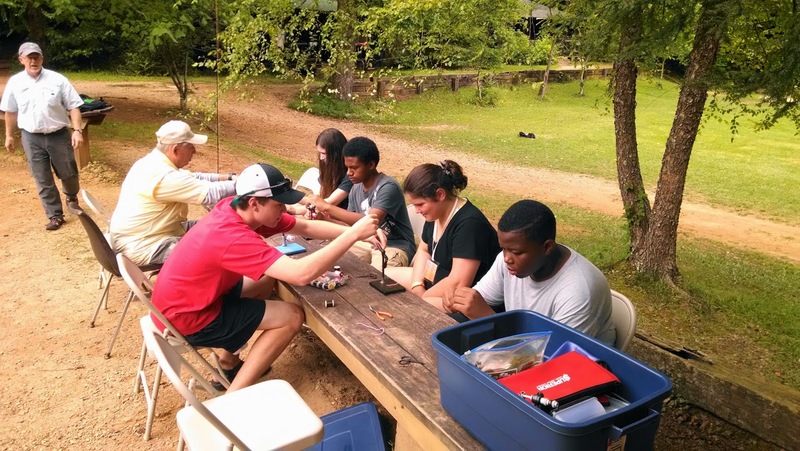 We joined some members of the Gold Rush chapter to help the young folks with casting, tying flies and fishing. Any time spent with kids is always enjoyable and most of them really had an interest in learning more about fly fishing. Thanks again guys.